Sam marvels at his new Maori comrades – and gets the worst promotion of all… Nobody loves a Lance Jack! A hundred years ago… summer it may have been but on the Western Front the combatants remained bogged down, despite small costly advances by the French at Lingekopf (July 27), the Germans at Hooge (30, via a heavy flamethrower attack) and embryonic air forces bombing both ways. In the east the Russian Army continued losing ground in Poland (against Austria-Hungary and Germany) and the Caucasus (against the Ottoman Army). Heading south, the Italians were still outscoring Austria-Hungary and occupied Pelagosa Island in the Adriatic. At Gallipoli another week of holding operations passed while Allied strategists planned major attacks for August. And Pope Benedict XV, who had declared his neutrality from the outset, called on all sides to negotiate for peace (July 30) – all sides rejected his entreaties. 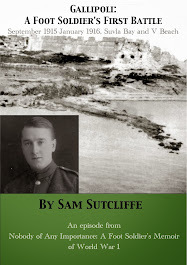 Meanwhile... the thousand men of the 2/1st City Of London Battalion, Royal Fusiliers – including my father, Private Sam Sutcliffe, his older brother Ted (both underage volunteers, still 16 and 18 respectively), and their pals from Edmonton – in their seventh month of training in Malta, enjoyed their borrowed time (before being sent to Gallipoli some guessed) at a tented camp in a paradise of a place, Ghajn Tuffieha, on the north-west coast. Last week, on night-time lookout for suspected German submarine activity in liaison with onshore spies, Sam got shot at for the first time – though probably by an irate farmer suspecting him of thievery – and his Sergeant suffered the Battalion’s first war wound – albeit more farcical than deadly, given it occurred when, in pursuit of a notional miscreant, he jumped off a wall and landed rear-first on a large cactus. ‘Soon our small party returned to the Battalion base close to the beautiful beach. The work routine of early morning start, long afternoon break, then evening and night training resumed. We spent long, afternoon periods in the calm, warm sea, with immense benefit to health and morale. Some of the combined signals training and practice with our Maori comrades provided my happiest experiences; those fellows were so mature, so calmly balanced. Worries which could afflict British town-dwellers appeared unknown to them… Either that, or maybe they possessed an ability to extract all the joy from the situation prevailing at any given moment. Their relations with an officer who sometimes helped with their training were unusually good, I thought; combining friendship and respect for his rank called for real self-discipline on each man’s part. Next, half the Signallers were packed off to an Army school in Valletta which had the most up-to-date field telegraph instruments available. Hour upon hour of sending and receiving messages, using the forms we would handle on active service, and learning approved abbreviations and message codings and everything timed by the 24-hour clock. Gradually we developed speed in translating the dots and dashes into letters and words and writing them legibly regardless of noise, talk and movement going on around us – of which the instructors created a lot. 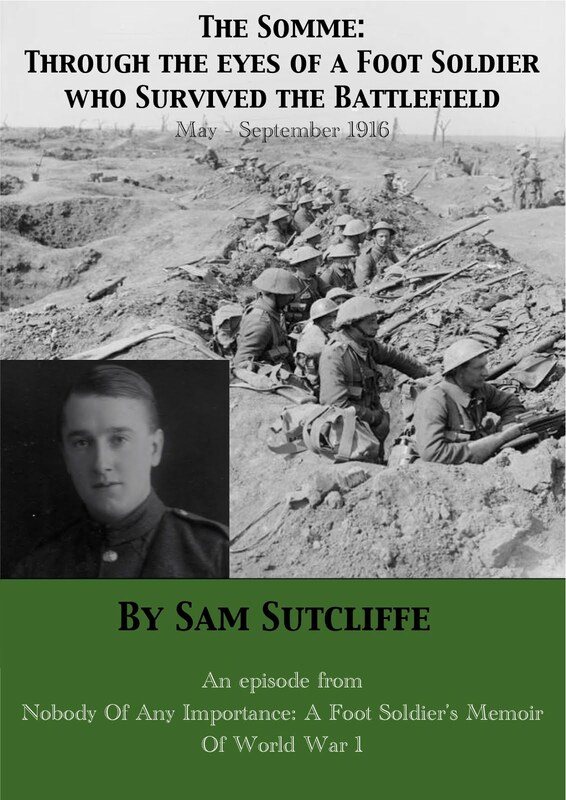 ‘Later, back in the camp I loved, I found myself with three other Signallers mentioned in Battalion Orders being required to report to Lieutenant Wickinson* at a certain hour. I didn’t like that at all, because this camp in its pleasant situation had given me happiness and a feeling of security. Any threat to the continuity of this beautiful mode of life chilled my blood. Although such interesting work, performed in almost idyllic surroundings, had not figured as a possibility for me when I enlisted, I felt we had indeed struck it rich. I had envisaged frontline service with all its risks and horrors. So this present respite whetted my appetite for more of the same treatment… Even though I’d concluded that, the longer this sheltered-from-reality existence lasted, the greater degree of repugnance and fear would I feel when I had to face doing real active service close to the enemy. Fortunately, Lieutenant Wickinson said we should remain in the Signals section, each being responsible for a quarter of its men under the Sergeant’s surveillance. On active service the Signallers would be posted to various Companies and Headquarters offices in small groups, each of them in the charge of a Lance Corporal. Then followed our inquest on why we had been selected. The Sergeant said it was because we were best at the work, and I was eager to believe him, but couldn’t. I feared it was because those in charge calculated that we four would lack the nerve to say nay to our young officer. * Almost certainly an alias, in line with my father’s policy of anonymising most comrades in order to avoid any possible upset to those living (when he wrote his Memoir in the 1970s) or to their descendants then or at any later date. A hundred years ago… while the Russian Army lost ground to the Germans (July 24, Rozan and Pultusk, Poland) and the Austro-Hungarians (19, Krasnik, Galicia, 21, the left bank of the Vistula, Poland), among many to and fro actions on the Western Front one of the worst conflagrations began at Le Linge (July 20-October 15, in the Vosges west of Colmar) where 17,000 French and German soldiers were to die, with gas and flamethrowers frequently deployed. In Mesopotamia the British took Nasriya from the Turks and in German colony Cameroon the French occupied Lomie (both on the 25th). In Gallipoli, attrition continued, with no further major actions until August – but on the 19th the House Of Commons learned that between the April 25 landings and June 30 British forces had suffered 42,434 casualties. Last week, parties of four to six Signallers – Fusiliers mixed with new arrivals from the Maori Pioneer Battalion – had begin a series of one- or two-week postings to defence points around the island. So we left Sam on top of a 17th-century Knights Of Malta lookout tower at Salina Bay, across from Ghajn Tuffieha on the north-east coast, paying close attention to the activities of a local farmer’s daughter on a nearby plantation. ‘We were told of German submarines being refuelled somewhere in that area of the Mediterranean and communicating with someone ashore on Malta. So we had to spot all signals at sea or on land, read them if possible, and alert the troops waiting to take any necessary action. 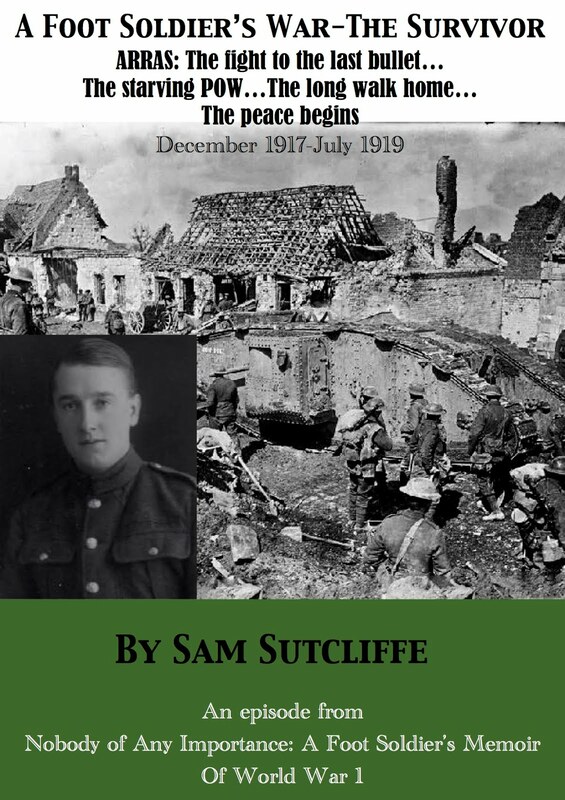 We had a phone line to a section of our men now camped back in the bay and, when I saw a flashing light coming from a place not far from their small camp, I quickly got in touch with the Sergeant in charge. Watching from my tower at the tip of a seaward finger of land, I concluded that the recipient of the signals must have been offshore beyond me. My mate wrote down the letters as I called them out, but the message, if such it was, had been encoded. The military operation to deal with the matter had its funny side. Sergeant Watson and his merry men hurried to the position I had indicated on the phone. They spotted a flashing at the top of a high stone wall by the road. A born leader and a man of action, the Sergeant sprang and heaved himself upwards — as I learned later for, having sent the message alerting him, I wished to participate in any excitement which might follow, so I asked a pal to take over the lookout job on top of the tower and commenced the fairly short walk from the tip of the headland back to the bay. In case the suspected collaborator with the enemy had helpers in the vicinity, I decided against taking a well-used track which ran along the high ground and, instead, made a rather tortuous progress among rocks low down by the sea. I soon realised the dark, moonless night was quite unsuitable for this silly choice of a route. I pressed on, but knew for certain I could not join the Sergeant’s party in time to help them. And when someone fairly close by let fly with a gun of some sort I was shaken to the very marrow. It had been a lark of sorts up to that point, but that terrific bang spoilt everything. The picture I’d had of the mettlesome young soldier voluntarily facing danger to help his comrades was phoney; the scared boy crouching low among rocks, scarcely daring to breathe in case he was spotted, was real. I waited some considerable time before moving, and then used great care to avoid making any noise. So, when I reached the coast road and approached the place where I guessed the light had been flashed, I found no one. 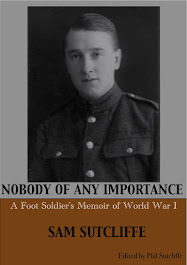 The scary silence made me hurry to Sergeant Watson’s small camp, where my story of being fired on was received with some scepticism. There was no glory for anybody to be had out of the entire incident. Certainly, somebody had been on the wall, but after Sergeant Watson sprang upwards and straddled the top of it, apart from hearing the noise of a hasty departure he made no contact with the possible enemy. The Sergeant acted quickly, though. He jumped down on the far side – and his yell of pain brought others to the wall top, intent on saving his life if possible. But “Stay up there!” was his whispered command so they waited. They could hear him quietly moaning and cursing until he told them to move along and climb down at a point two or three yards away, whence he led his men on a search of the area. Still they caught no spies. However, the Sergeant was sorely wounded. Sorely being the appropriate word since his brave jump had brought his backside down on the hairy spikes of a huge cactus and he needed careful search and extraction treatment before relief from pain enabled him to write his report. Next week: Sam gets promotion – the worst promotion of all; nobody loves a Lance Jack!